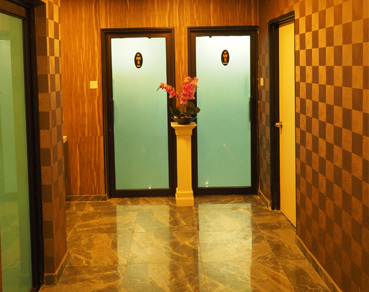 All JHub member guests are greeted politely and professionally by our receptionist at the lift lobby. 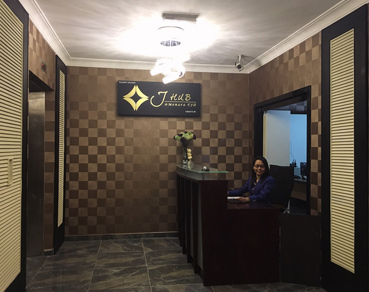 JHub also have designated signage areas at the lift lobby available for your booking so that your company logo and signage receives the prominence they deserve. 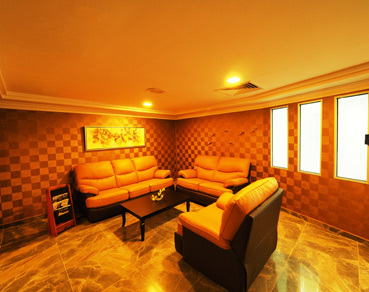 JHub also provides a free to use reception area that can be decorated appropriately for any festive period. The sofa, warm light, and free magazines will help you and your clients relax during those key business discussions. Refreshments can also be served to you and your client accordingly. JHub also has a 400 sqft boardroom capable of hosting 12-20 people in a conference setting. 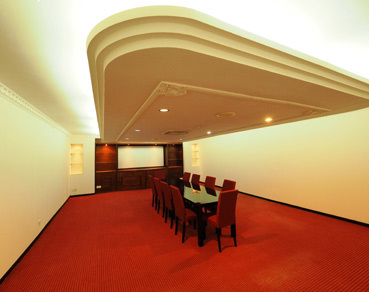 The room configuration can be adjusted to accommodate chairs and a projection setup capable of hosting up to 30 people in a seminar format. Refreshments can be provided at additional cost. 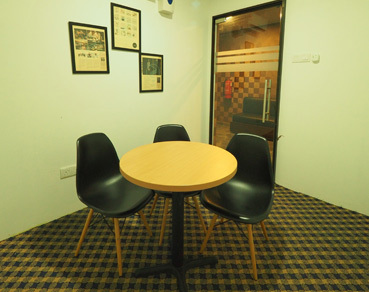 We have 3 smaller size meeting rooms that can host 2-6 people in a small discussion setting. If you have a contract to sign with a client, the secured environment will be convenient and private. Our resting area allows you and your colleague to take a drink or have some light snacks and enjoy a breather after long hours of meetings or working. A simple gym is available for all JHub members to relax and unwind physically and mentally. 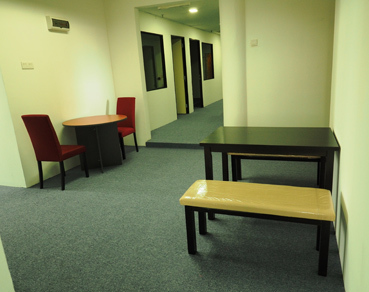 A clean surau with mirror to adjust your clothing are also provided for all our tenants and guests needs.